A three-day seminar with the participation of the US students and researchers – Fulbright Scholarship Program winners, was held in Vasyl Stefanyk Precarpathian National University. The university hospitably supports this initiative for the second time, as there are also Fulbright Scholarship winners among university lecturers. These are associate professors of the English Philology Department Olga Kulchytska and Lesya Ikalyuk. 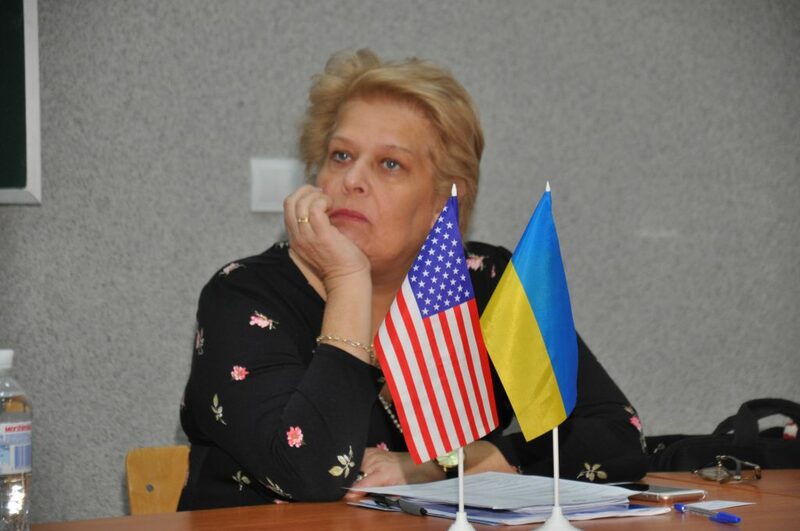 The director of Fulbright Program in Ukraine Martha Kolomiets congratulated the participants of the seminar, wished them fruitful work and thanked the university for its hospitality. “Nothing brings people closer together like personal contacts,” said Igor Tsependa, the rector of the university. – We have a positive experience with Fulbright. Having the opportunity to invite Fulbright teachers and researchers to us, we have a chance to exchange experience and establish close partner contacts. The university has a great experience of participating in such programs and we are satisfied with its results”. The rector also mentioned the project for the construction of the International Center for Youth Meeting in Mykulychyn and stressed that it would become a good platform for such events. The sponsor of the Fulbright Program is the United States Government. It is administered by the Institute of International Education (IIE). The program has a prominent place in the international education system. Founded on the idea of ​​interaction and mutual understanding and based on knowledge and respect for the diverse world. It has been successfully working since 1946 in more than 160 countries in the world. Since the existence of the program in Ukraine – since 1992 – more than 1,000 Ukrainians have been trained, they conducted research in the USA; more than 700 Americans taught at Ukrainian higher educational institutions and were engaged in scientific work.